One of the most important things about distance running is the pace, or effort, at which an athlete choose to run. With proper pacing, the distances are all physically achievable, and the obstacles become those related to endurance nutrition/hydration. So, give yourself the best opportunity of success when taking on the long run. You, as an athlete, have a “pace” or level of effort that is sustainable for every distance. Your 10k pace is NOT the same as your ½ marathon pace. Put another way, when running as hard as possible, you cannot run for 1hr at the same pace you would attempt to blast for 2hrs. If you know the distance of your run from the first step, you must select a level of effort which is sustainable for that duration or time/distance. You further support your ability to feel good to the end of the marathon with some easily digestible carbs throughout the race and some hydration. Of course the marathon distance is not far enough or long enough to truly give you an indication of whether you fueled right. The marathon is still short enough, from an ultrarunning perspective, to allow for someone to make many imbalanced choices but still finish well. Regarding pace however, the new marathon runner gives themselves the best chance of success by slowing their pace in the first hour and consuming electrolyte fluid/calories during the event. For most, this is acceptable and ensures success. Whether training for marathon or ultramarathon, the average training pace should be nice and slow. You should feel really comfortable during long runs. Whether measuring by heart rate or perceived effort, you should feel like you can run forever at that pace. For some, this means a mix between walking and jogging. If someone is really unconditioned, it may mean more walking than jogging and eventually building to a balance of time between them. Especially for those of you training for your first ultra, let go of those feelings that you must run every step. Just let go! You don’t have to run every step. If you are moving out of the marathon range, then sprinkle in walking breaks from the first hour of your long run…walk whenever you feel the need. Relax, eat something…take a picture. Ultrarunning is an adventure. Your body needs time to adapt…and you must let go of the idea that you must run every step. 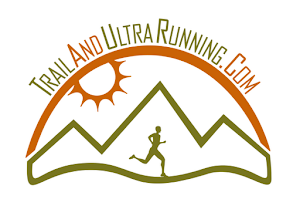 We in ultrarunning, do not run every step. In training, go easy….really easy. Try running so slow and comfortable you could fall asleep. Now you’re training for ultra! And, to answer a very common question I get…”is this slow training building my cardio” Hell yes! The most important thing is building this base, through a very comfortable aerobic effort…consistently over months or years. You need to add a little bit of time to your long run each week, but keep the pace nice and slow…easy and comfortable. To recap, training pace should be slow and comfortable. If you are well conditioned and have a strong base already from marathon or distance triathlon, then you can charge forward and do a tempo run each week. You should keep it at about 45 minutes in length. (The weekly short runs shouldn’t really go beyond an hour or so.) For most, however, the bulk of training runs should be totally comfortable and maybe even include a good mix of walking. In ultra, you train like you race. So, treat every long run like a race rehearsal. You shouldn’t modify your pace that much for runs over 35 miles from the effort you did in training. You should also just eat and drink the same stuff you did in training runs. In fact, don’t change anything on race day from your long runs. The only thing that should be different on race day is the positive energy you feel around you! Building endurance is something you can achieve without much pain or discomfort. With consistency and time, you can build an efficient engine that supports your effort to run extreme distances. Just be confident that slow running is extremely beneficial. 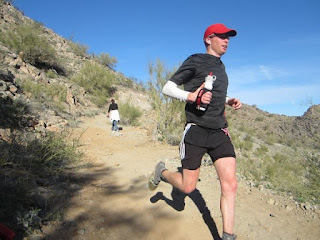 Pain is not gain in ultrarunning. Enjoy every step.